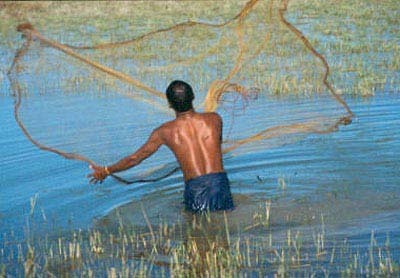 Burma, now named Myanmar by the current military regim. The swedish government has not recognised the military regim and for that reason not accepted the change of name. So, also I will use Burma here below. 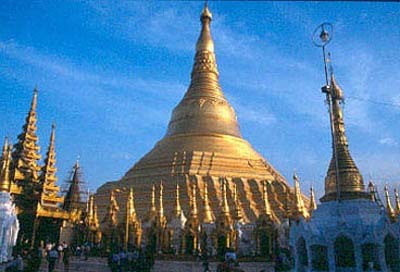 Burma is very often called "The Golden Land". I would like to add a word to this expression; "The Smiling and Golden Land". Never before have I met more friendly and smiling people, as I did during my trip in Burma. Very little is known about Burmas prehistoric inhabitants, but the country has been inhabited at least 4 500 years. The first more known people are the Pyu. 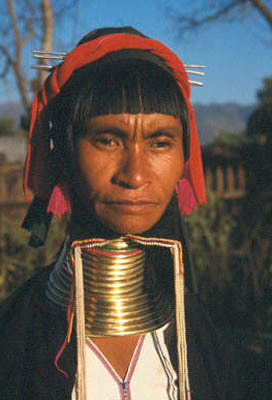 They are thought to come either from the Tibeto-Burman plateau, or from India. Around the 6th century the Mon people settled in the fertile lowlands stretching from the Ayeyarwady River delta, across Thailand to Westerna Cambodia. 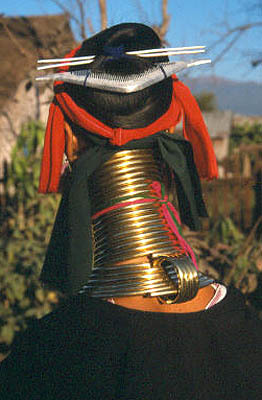 During the 8th century the Bamar, or Burmans came to Burma from somewhere in the eastern Himalayas. 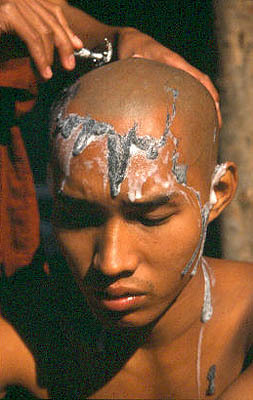 The Burmans came into conflict with the mon-people when they took over the central region of Burma. 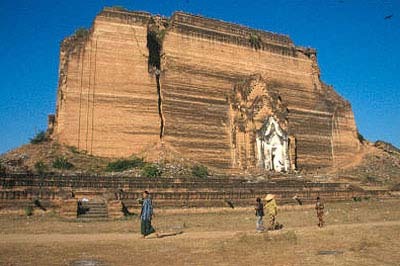 In 849 after Christ the city of Bagan was founded. It had its peak from 1044 when Anawrahta became king. In 1287 the city collapsed when Kublai Khan invaded it. For the next 250 years Burma remained in chaos. During this period different kings ruled from various capitals. In the 18th century the europeans arrived, Dutch, British and French. All looking for power in the East. At the end of the 19th century Burma was a part of British India. During WWII the japanese came to Burma which resulted in severe suffering for the people. When the Allies arrived to Burma heavy figths occured between them and the japanese with many causualities. On January 4, 1947 Burma became independant and left the British Commonwealth. 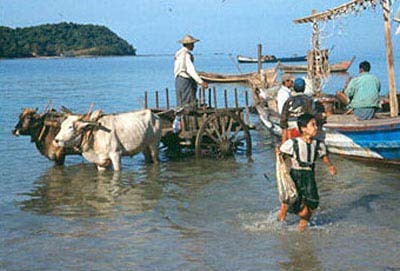 During the 1960s Burma stepped on the "Road to Socialism". After a long period of suffering and economic stagnation, the people started an Anti- Government uprising in August, 1988 which was crushed with, at least 3 000 deaths. Short after this the opposition started a new party called National Leaugue for Democracy (NLD) with Aung San Suu Kyi as spokesman. 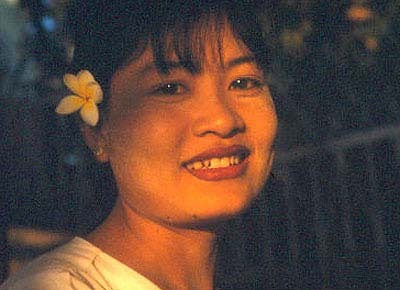 She was placed under house arrest in July, 1989. 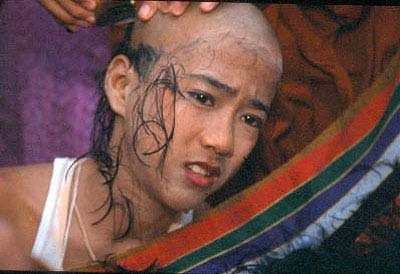 In May, 1990 the burmese were allowed to have their first free elections for more than 30 years. NLD took 392 of the 485 contested seats. In October 1990 the military raided NLD offices and arrested key leaders. The military still has the power in Burma, but hopefully democratic elections will be allowed again, so the burmese people will get the freedom they deserve. The area of Burma is approximately 671 000 sq kilometers. The shape of the country has been likened to a parrot facing west, with the beak touching Sittwe, the claws gripping Yangon, the tail extending down the Tanintharyi peninsula, and the outstreched wings forms the three northernmost states. Its greatest length, from north to south, is approximately 2 000 kilometers. The widest east to west distance is around 1 000 kilometer. Burma borders Thailand, Laos, Bangladesh, India and China. 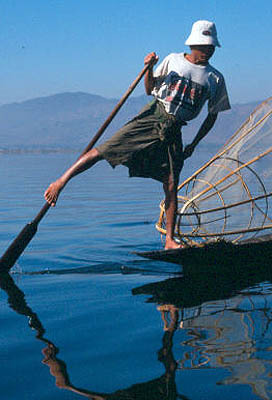 The major river is the Ayeyarwady River with a length of more than 2 000 kilometers. Other big rivers are Chindwin, Kaladan and Sittoung. In the north, on the border to Tibet, the Himalayas rises. The highest peak is Hkakabo Razi, 5 889 meters above sealevel. 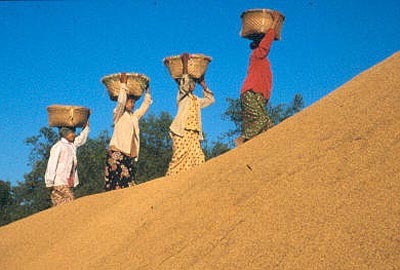 Burma has three seasons annually. The south-west monsoon starts between mid-May and Mid-June, bringing frequent rains that continue into late October. The dry period from November to May begins with lower temperatures because of the influences of Asia´s north-east monsoon. In February the temperatures starts to raise. March, April and May can be very hot. In May the rain start as the south-west monsoon again sweeps northward from the Indian Ocean. In October the rain tappers off and you are back in the cool, dry winter season. 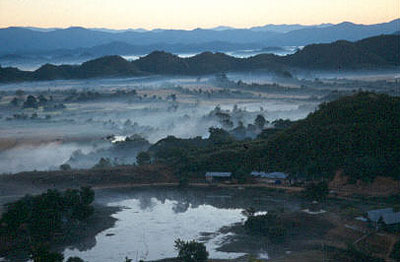 As in the rest of tropical Asia, most indigenous vegetation in Burma is associated with two basic types of tropical forest; monsoonforest and rainforest. In the mountainous Himalayan region the flora is characterised by subtropical broadleaf evergreen forest up to 2 000 meters. Between 2 and 3 000 meters altitude you find temperate semi-deciduous broadleaf rainforest. Above 3 000 meters you find evergreen coniferous and subalpine snow forest, passing into alpine scrub. As with flora, the variation of Burmas wildlife is closely associated with the country´s geographic and climate differences. 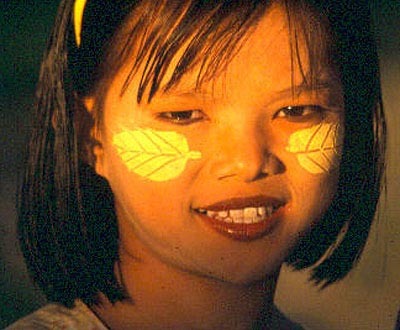 In the northern half the fauna is mostly of Indo-Chinese origin, while that of the south is generally Sundaic. In the hilly Himalayan region the fauna shares the Indian biogeographical realm with areas of North-eastern India. 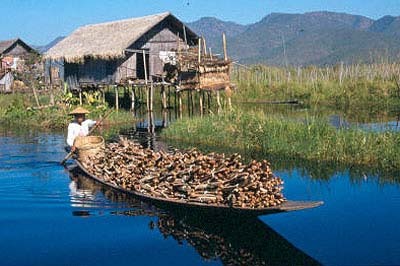 Burma is rich in bird life, with an estimated 1 000 resident and migrating species. Some of the mamals to be found are leopards, jungle cats ,fishing cats, civets, Himalayan bears, Asian black bears, gaur, serow, wild boars, tapirs, different kind of monkeys, elephants, and of course tigers. 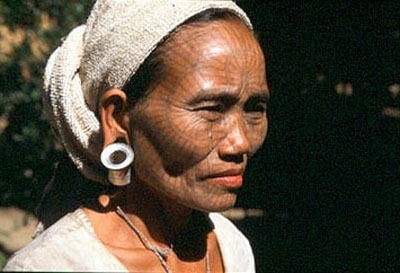 Burmas population can be divided into four main ethnological groups; Tibeto-Burman, Mon-Khmere, Austro-Thai and Karennic. 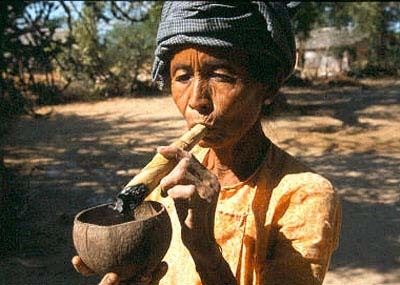 The major group is the Tibeto-Burman speaking with about 78 % of the population. The governement recognises 67 different minorities, ethnologists have indentified 111 different. The largest ethnic groups are Bamar 65 %, Shan 10 %, Kayin 7 % and Rakhaing 4 %. 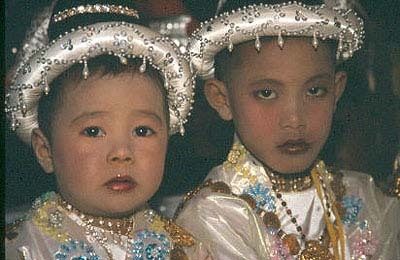 You can also find many persons with indian or chinese heritage. During my trip I met people, in addition to bamars, belonging to shan, rakhine, chin, palaungs, pa-o, padaung and intha. There is a complete freedom of religion in Burma, but around 87 % of the people are Buddhists. They mainly practise the believes found in the Threravada or Hinayana branches, following what Buddha preached originally. 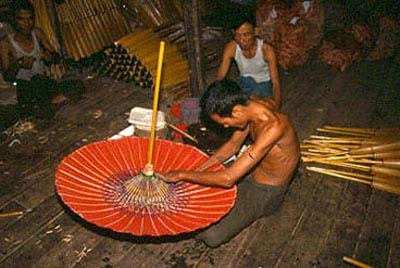 During the years the very religious Burmese have build thousands of golden pagodas and monasteries. Everywhere you can see praying people. Many also worship nats, spirits. The spiritis can be both good or evil. If you are lucky you can participate in a nats pwe, which is a feast for the spirits. Several mediums are dancing until they got a contact with the nats. 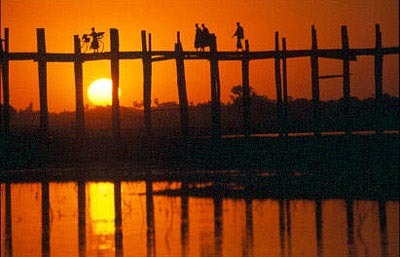 The trip to Burma was one of my best trips, so far. It was interesting to visit a country which still is very little affected by tourists. The strongest impressions came from meetings with the always friendly, and smiling people. 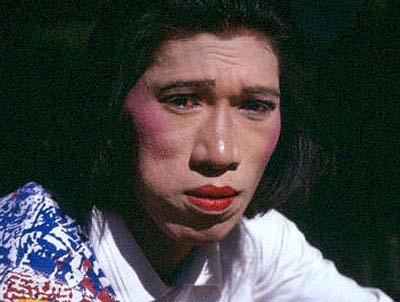 Transvestite at a nat pwe. In the middle of the crest, over the bearing, a map can be seen. 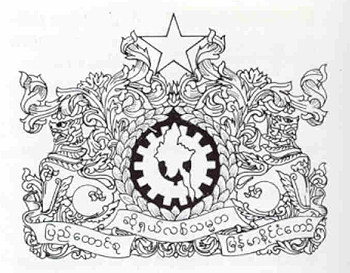 The lions on each side of the crest are common symbols in the burmese imagery. They are representing power and wisdom.